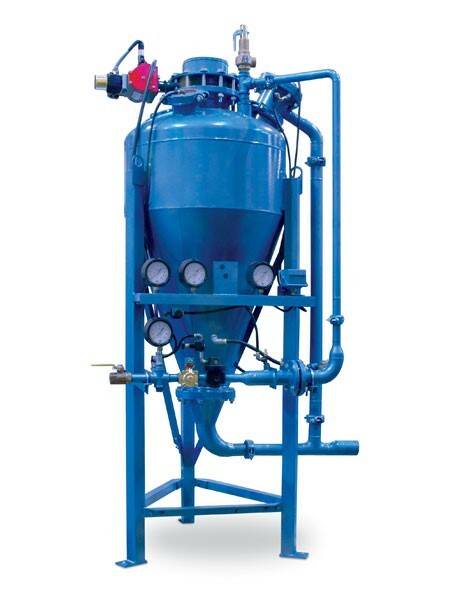 Smoot’s Dense Phase Pneumatic Conveying System is a high-pressure, low-velocity system that moves abrasive or easily degradable dry materials down the line gently and efficiently. When part of a long-distance line, a customized Smoot Dense Phase Pneumatic Conveying System can increase energy savings, helping a company’s bottom line. Unlike dilute phase systems that use airlocks, dense phase systems use pressure a compressor to feed a plant’s product down the line. Since there is no limit to how much pressure can be used in a dense phase system, plant operators can control the pressure to move the line at a faster rate and a lower velocity than a dilute phase system. Facilities that handle dry materials that are abrasive or easily degradable, will benefit from Dense Phase Pneumatic Conveying Systems. For more information on Dense Phase Pnuematic Conveying Click Here.